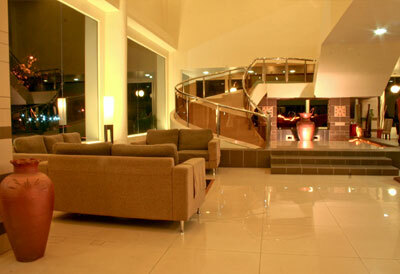 Langkawi Seaview Hotel promises its customers that by booking directly, you are getting the best deal online. If you have a confirmed direct online booking with Langkawi Seaview Hotel and find a cheaper price for the same offer within 24 hours on another website, we will match that price. Langkawi Seaview Hotel will make available the best guest room price for the hotel (the "Best Price Guarantee"). Langkawi Seaview Hotel Website is the website owned or operated by or on behalf of Langkawi Seaview Hotel bearing the logo and branding of Langkawi Seaview Hotel. In the unlikely event that a lower price at Langkawi Seaview Hotel is made available on a non-Langkawi Seaview Hotel website (the "Competing Price"), upon its receipt of a claim that satisfies these Best Price Guarantee terms and conditions (the "BPG Terms"), Langkawi Seaview Hotel will honor and match that Competing Price. The claim must be submitted within 24 hours after making a reservation through the Langkawi Seaview Hotel and at least 24 hours before the standard check-in time at Langkawi Seaview Hotel. A claim may be rejected by the Langkawi Seaview Hotel if it is incomplete, concerns a non- Langkawi Seaview Hotel website and booked through a different website. For the Competing Price to be valid, it must be a currently available lower published online room price for Langkawi Seaview Hotel the same stay dates, the same number of guests, the same room type, with a similar view and room size, and include similar or additional value-added amenities (e.g., free breakfast). Langkawi Seaview Hotel will compare the total room cost of a stay, and multiple claims for a stay consisting of two or more nights in the same week at the same Hotel. Langkawi Seaview Hotel will convert any Competing Price offered in a different currency than the price made available through the Langkawi Seaview Hotel Website, and may deny claims where it determines that the difference between the price is due to exchange rate fluctuations. Taxes, Surcharges, Booking fees, extra adult fees, fees for children, rollaway charges will be included in the price comparison. The estimated value of value-added amenities (e.g., free breakfast, use of Wifi, vouchers) offered as part of a Competing Price will be excluded from the price comparison, and will not be provided by Langkawi Seaview Hotel when honoring a lower price. Langkawi Seaview Hotel may deny claims where the difference between the Competing Price and the price on the Langkawi Seaview Hotel Website is less than one percent. Prices offered on on-request websites and those who do not provide immediate hotel confirmations (e.g., Asiaweb). The Best Price Guarantee does not apply to existing reservations that are not booked through a Langkawi Seaview Hotel Website, and Langkawi Seaview Hotel is not responsible for any fees associated with cancelling a reservation made through a different channel (e.g., a call center, a non- Langkawi Seaview Hotel website). The Best Price Guarantee will be suspended during times where the Langkawi Seaview Hotel Websites or certain prices are not available due to an outage, a technical issue or a circumstance beyond Langkawi Seaview Hotel reasonable control. Langkawi Seaview Hotel has the sole right and discretion to determine the validity of any claim and will not review documentation provided by the individual submitting a claim as part of its validation process. Langkawi Seaview Hotel reserves the right to deny a claim, if it cannot independently verify the availability of a Competing Price at the time it processes the claim. Langkawi Seaview Hotel may at any time and without notice terminate or restrict a person's ability to submit a claim under or otherwise benefit from the Best Price Guarantee, if in its sole discretion Langkawi Seaview Hotel determines that such person has: (1) acted in a manner inconsistent with applicable laws or ordinances; (2) acted in a fraudulent or abusive manner, (3) submitted multiple invalid Best Price Guarantee claims; (4) failed to stay at Langkawi Seaview Hotel after receiving approved Best Price Guarantee Claims; or (5) breached any of these BPG Terms. Void where prohibited by law. Langkawi Seaview Hotel reserves the right to amend, revise, supplement, suspend or discontinue the Best Price Guarantee or these BPG Terms at any time in its sole discretion and without prior notice. After a long day of exploring the island, find comfort in any of our 143 rooms and suites. The spacious guestrooms feature a private balcony that overlooks the sea or the island's natural flora. These are fitted with rustic timber flooring and contemporary furnishings. Specially designed interiors have been used to enable natural light to reach all parts of the room. 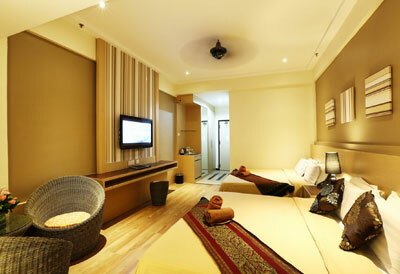 Each space is also equipped with deluxe bath amenities, coffee/tea making facilities, and commercial ASTRO TV. Take this chance to indulge yourself and allow us to pamper you throughout your stay. 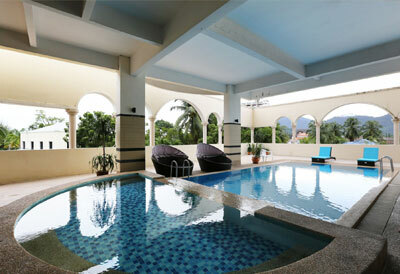 The hotel facilities we offer at Langkawi Seaview Hotel ensures that guests will have a worry-free trip. The use of Wi-Fi Internet is complimentary throughout the hotel so you can stay in touch while away from home or the office. We have an outdoor swimming pool where you can cool off from the tropical sun. We also provide meeting and banquet facilities for corporate affairs and other events. Dining at the Langkawi Seaview Hotel is designed to enhance your culinary senses. You can experience a range of sumptuous cuisine, each unique in its own way, at our restaurant. Give into your temptations and let us impress you with our selection of delicious local fare, international favourites, and Halal certified dishes. 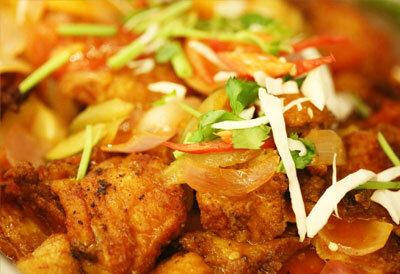 It is the best choice for group/corporate dining or intimate and romantic dinners. The cafe is open daily, serving guests from 7:00 am to 11:00 pm. Langkawi Seaview Hotel wants you and your loved ones to feel the rewards of a relaxing holiday in Malaysia. So take advantage of big savings and awesome trips by booking on the website. When you reserve online, you get the chance to unlock exclusive discount deals you would not find anywhere else. Langkawi Seaview Hotel offers packages that will make your island escapade even more satisfying and stress-free. Visit the website and check out our promotions page for more details.